Sometimes you just need an expert to explain to the Court the psychological, emotional, and physiological impacts of separation and divorce on a child. Rebecca can be just the expert you need. Rebecca has been working with children and families since her undergraduate years at Cornell University, where she graduated with a degree in Human Development and Family Studies. She has her Juris Doctor from the University of Miami School of Law and her Masters in Marriage and Family Therapy from Nova Southeastern University. 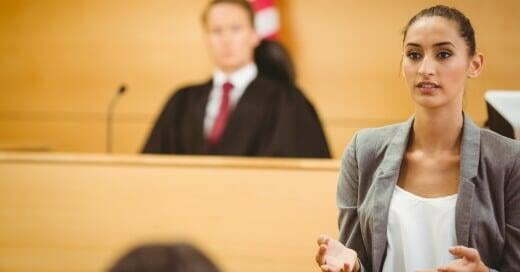 With almost 20 years of litigation practice in Miami-Dade and Broward County Courts, Rebecca has learned how to testify with eloquence and clarity before the esteemed Judges who sit on the Bench. She is clear and the information that she provides to the Courts is logical and concise. Moreover, Rebecca is used to cross-examination and shows “grace under fire.” Rebecca works professionally with other attorneys in the field and is well-respected due to her dual-disciplined knowledge and approach to the practice of Family Law.